Products description: Stanozolol Tablets/5mg *100 Pills. These products are supplied in 5mg tablet,10mg tablet,20mg tablets,50mg tablet. 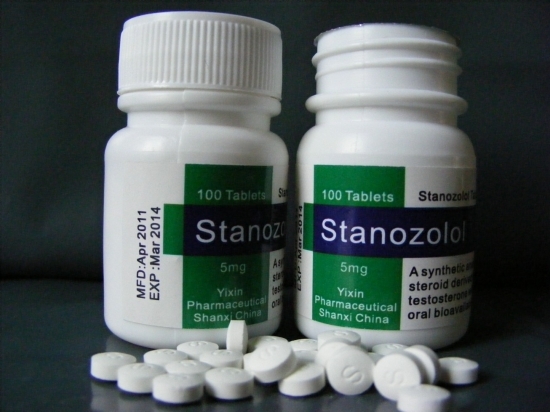 Stanozolol Tablets is a popular brand name for the anabolic steroid stanozolol. This compound is a derivative of dihydrotestosterone, although its activity is much milder than this androgen in nature. It is technically classified as an anabolic steroid, shown to exhibit a slightly greater tendency for muscle growth than androgenic activity in early studies. While dihydrotestosterone really only provides androgenic side effects when administered, stanozolol instead provides quality muscle growth. Admittedly the anabolic properties of this substance are still mild in comparison to many stronger compounds, but it is still a reliable builder. Its efficacy as an anabolic could even be comparable to Dianabol, however Stanozolol Tablets does not carry with it the same tendency for water retention. Stanozolol also contains the same c17 methylation we see with Dianabol, an alteration used so that oral administration is possible. To spite this design however, there are many injectable versions of this steroid produced. For men the usual dosage of Stanozolol Tablets is 15-30mg per day. It is often combined with other steroids depending on the desired result .